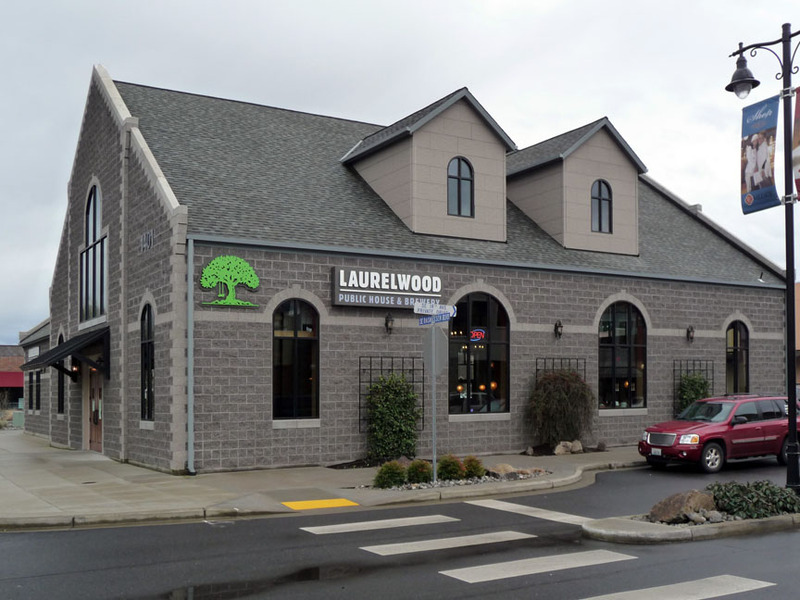 Laurelwood's first Washington location is in a new planned community with a brand new shopping area. It's quite large, and oddly, the space has the feel of a church. There is a very tall ceiling with a peaked roofline and exposed rafters from which hang fake-candle chandeliers, tall narrow arched windows, and even a couple clerestory windows above in the same shape. Lighting also comes from large wall sconces and each booth has a beautiful hanging light globe with a swirling curved shape (like Russian onion dome churches). The floors are concrete. 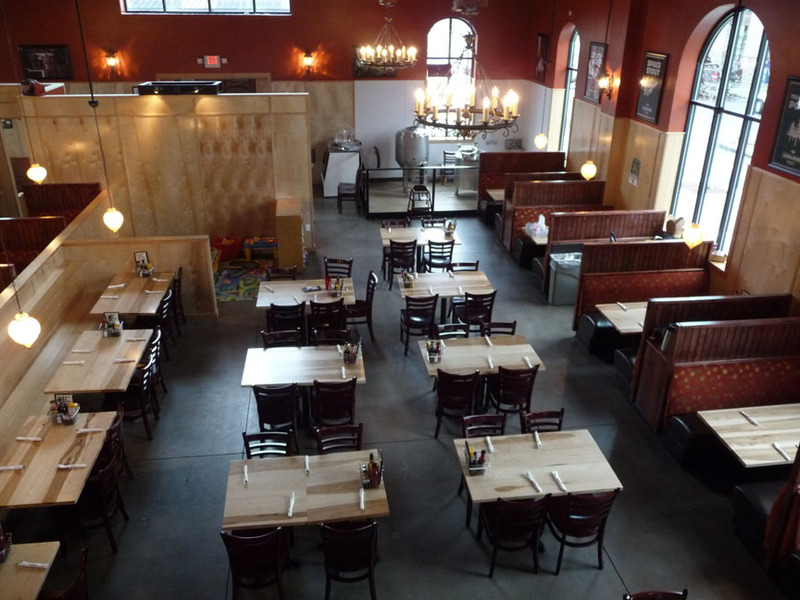 On one side of the room is family-friendly dining seating with wooden tables and chairs as well as several booths. On the other side is the bar area, also with several booths, and some tall wooden tables and chairs. 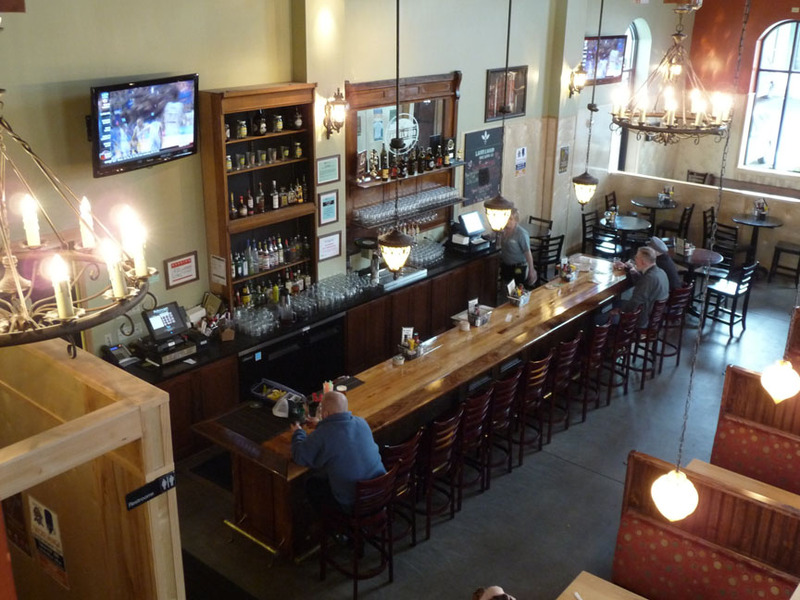 The bar itself is made of dark wood and is fairly long with tall chairs. There are flat screen TVs here too (sound off). Light wood wainscoting runs around the room and the walls above are paintd either brick red or pale green. In the back is a comfortable loft area with leather seating that overlooks the entire room. The beer selection is quite good. 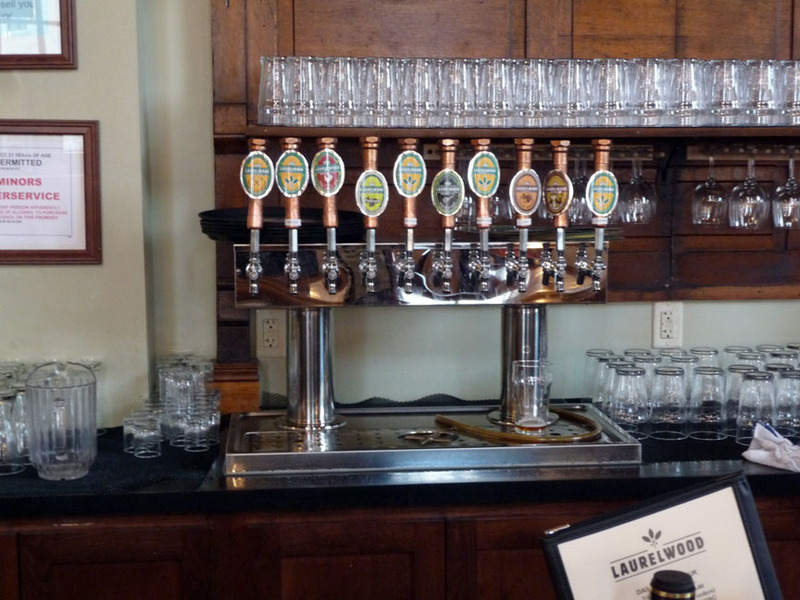 There were 9 beers on tap on our visit, 6 regular beers that cover the normal ale range and 3 special beers: Workhorse IPA, Moose & Squirrel Russian Imperial Stout (both excellent), and E.lvis S.pecial B.eer. The atmosphere still feels a bit new but it is local in feel and quite welcoming.